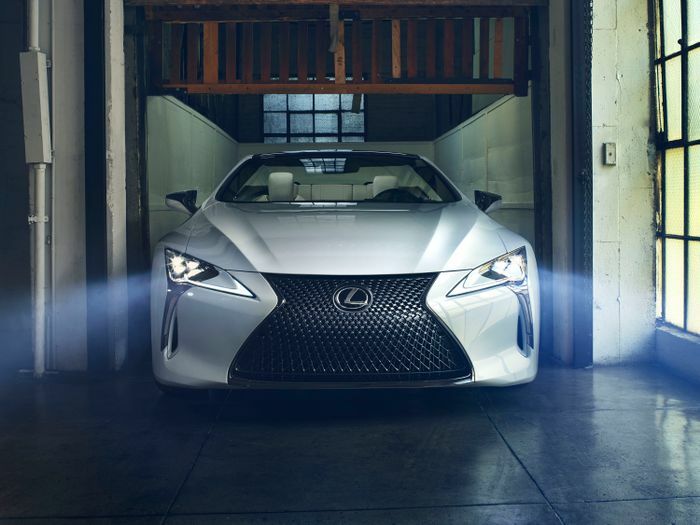 The Lexus LC500 is one of the few remaining cars keeping the naturally-aspirated V8 flame going. 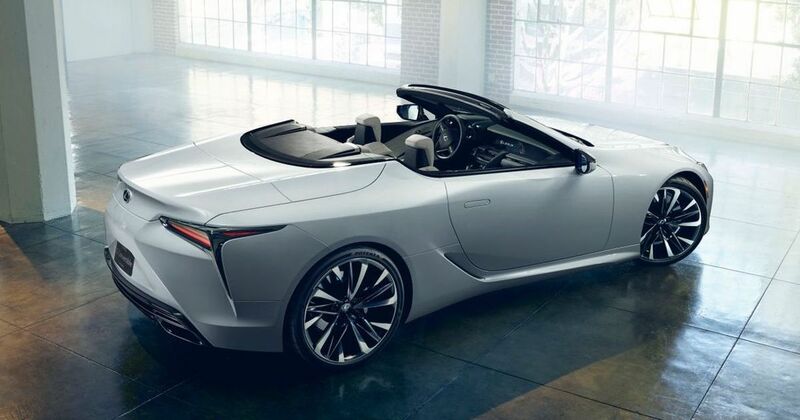 It’s fitting, then, that Toyota’s luxury brand has decided to take a big tin-opener to the roof and turn it into a convertible. 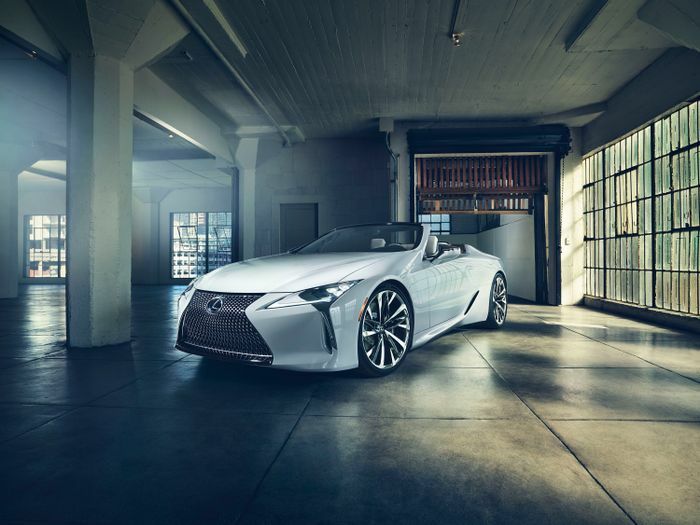 What you see here is officially a concept Lexus has cooked up for the Detroit Auto Show, where the production version of the coupe made its debut three years ago. But, save for those giant 22-inch wheels, everything on it looks showroom-friendly. Lexus hasn’t explicitly said if it’ll make the car. “A production version of this concept would be exhilarating in many different ways,” said Tadao Mori, the car’s designer, being very careful to say “would” rather than “will”. But don’t be fooled: we’re all but certain this will happen. 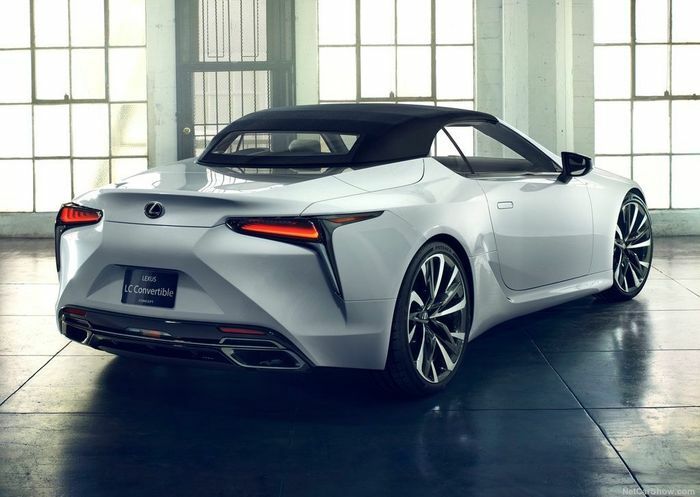 Lexus hasn’t provided any technical details for its “aspirational halo vehicle,” but the inevitable production version would most likely be available as an LC500 with the aforementioned 5.0-litre V8 - which develops 471bhp in the coupe - and as an LC500h with a V6 hybrid powertrain. There’s no mistaking which one Mori is referring to when he talks about how drivers would “hear its engine when you start it up and feel everything around you once on the road,” however. 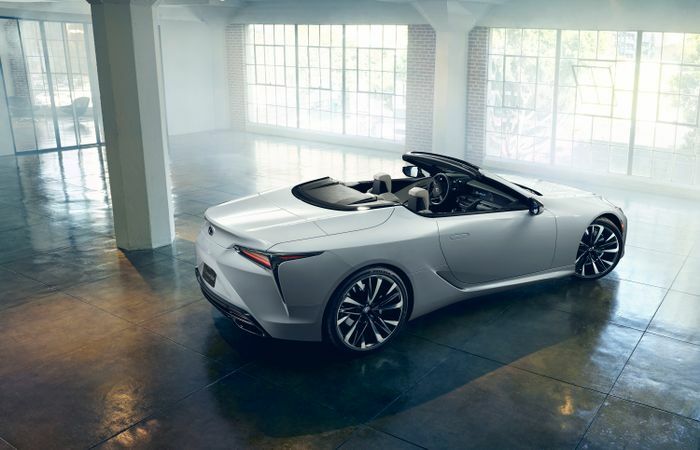 Lexus hasn’t gone into specifics about the roof, either - it’s only referred to as a “retractable top” in the press release. 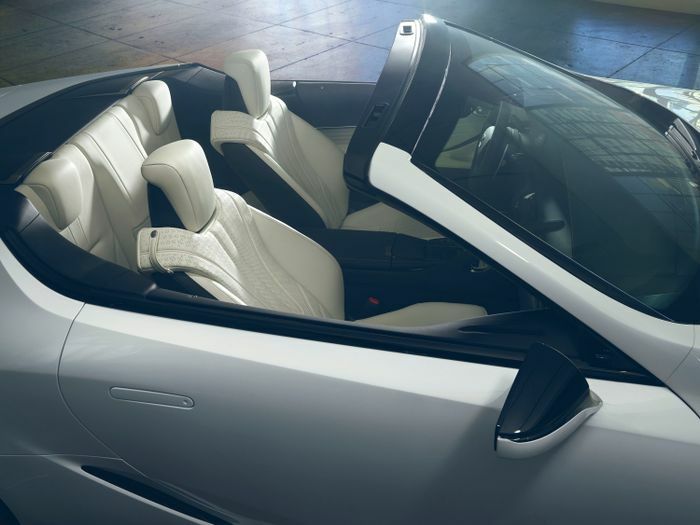 It’s shown in the above image to be a fabric roof, setting it apart from Lexus’ last convertible supercar - the much-maligned SC 430 - which had a hard-top arrangement.